Please feel free to contact us for more infomation and resources. Banner images in this website are by courtesy of the National Aeronautics and Space Administration. 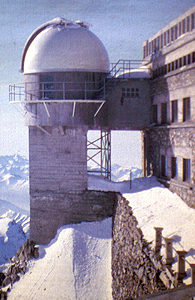 Pic du Midi Observatory in France (where we obtained our Ph.D. observations of diffuse nebulae). Visit their website for live web cams and more. 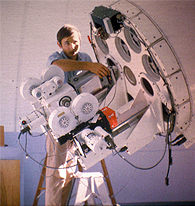 At Big Bear Solar Observatory, Big Bear City, California. Visit the Big Bear website for more infomation.